The patch is for sale in my Etsy shop! 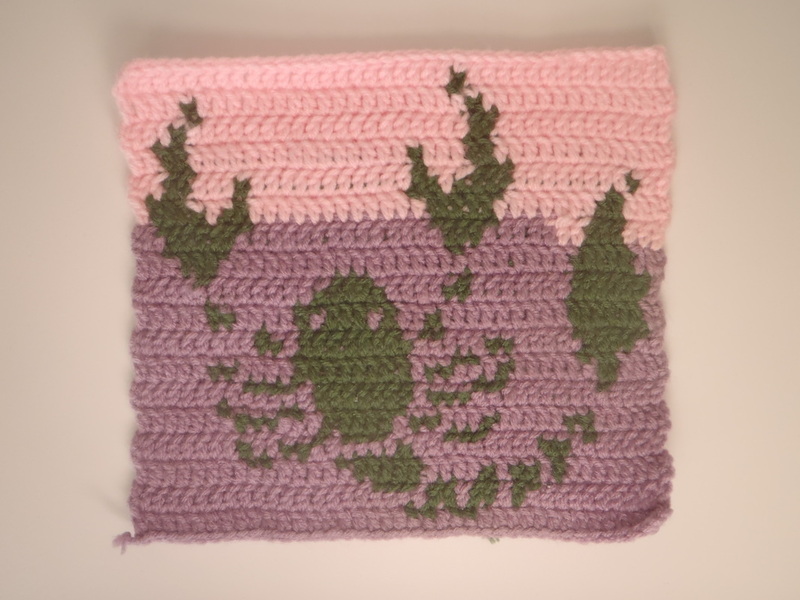 Use the button below to buy and download the pattern from my Ravelry store! 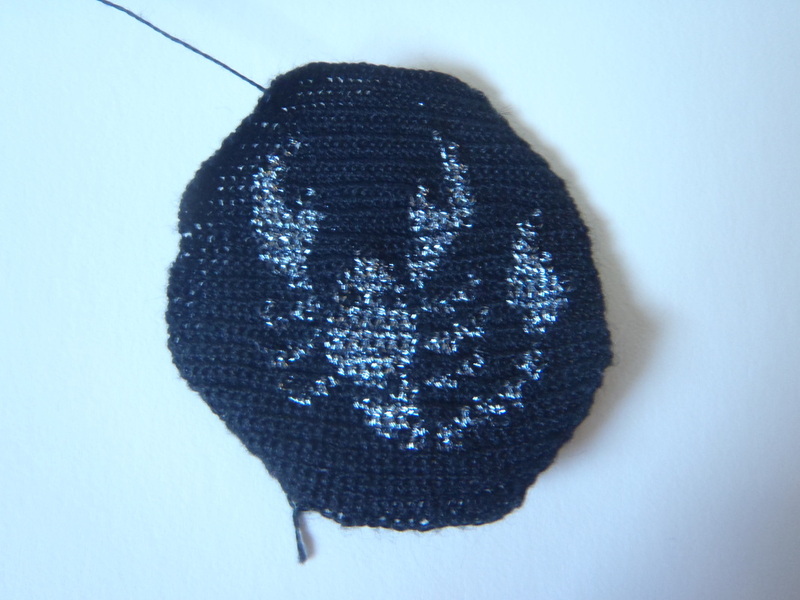 Scorpio--my first attempt at a microcheted key chain, but I wasn't able to complete it with its hexagonal shape (the plastic mesh I wanted to use for support wouldn't cut correctly). 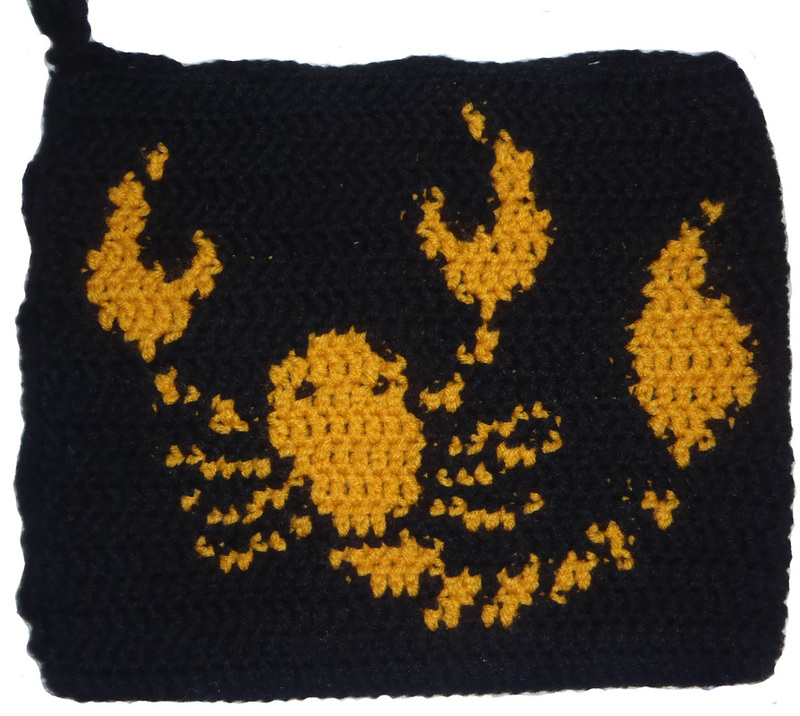 I still have this attempt, I don't think I could bear to part with it; but the pattern available for purchase with the button above!